Raith Rovers warm-up before the Betfred Cup group match against Cowdenbeath at Bayview Stadium. 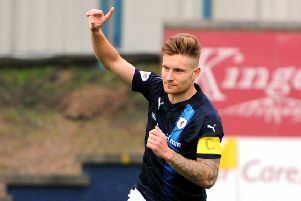 Raith Rovers kick-off their 2018-19 season with a Betfred Cup group match against Cowdenbeath. Hit refresh for live updates from Bayview Stadium below.